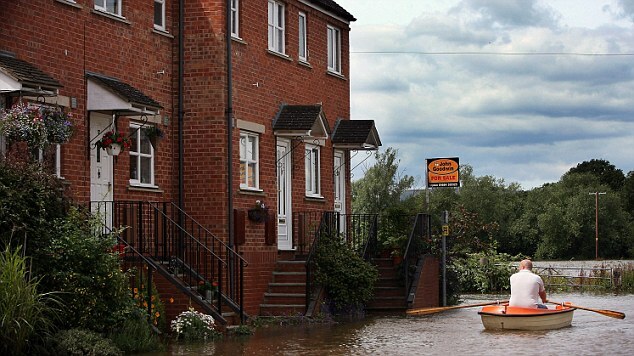 You Are Here: Home » Environmental Emergencies » Is Your Home At Risk for Flooding? Springtime is in the air and that means you should brace yourself for the flooding season. Some regions in Canada experience flooding right after the winter season due to the accumulation of winter precipitation. Preparations for flooding should start from the individual level and up to the community level to minimize damage to properties and lives. It starts by knowing what are the likely causes the flooding in your specific region. Disclaimer: this post on preparing for home emergencies and flooding is for learning purposes only. To learn effective methods of preparing for emergencies and knowing how to provide first aid enrol in St Mark James training programs. Floods are considered the most costly natural disasters in Canada in terms of damage to property. Although they can occur in any region of the country, in cities or in the countryside, at any time of the year, worst flooding incidents are commonly recorded during springtime. Torrential water can affect hundreds of thousands of people. Most flooding occurs in areas surrounding major inland water bodies such as rivers and streams, especially when the flow of water exceeds its channel. Flooding can also occur along shoreline of oceans and lakes when level of water rises after storm surge, high run-off or forceful hammering of waves. As mentioned above, the accumulation of snow, hail and sleet for several months may lead to flooding when spring thaw comes. During this period, rapid melting of snow or heavy rain, ice jams on water channels causing widespread flooding. The May 1997 flooding in Red River, Manitoba is the worst flooding in Canada’s recent history. This flooding caused devastation to dozens of communities near the Red River. It required evacuation of over 25,000 people, while thousands of military personnel and civilian volunteers battling the spring flood-waters for over a month. It took several months before the communities were rehabilitated. Heavy storm rainfall is also another cause of flooding. Thunderstorms pack in heavy precipitation that can lead to flash floods, especially in the eastern regions of Canada. In October 1954, Hurricane Hazel deposited over 100 millimetres of rain, inundating the Toronto area in less than 12 hours. Aside from property damages, it has cost death to more than 80 people. Meanwhile, heavy rains in steep mountain slopes in western Canada can lead to flooding. Melting snow and rain in the mountains cause river and streams to overflow – or cause debris or mud flows – as loose debris is flown to the channels. Flash floods can also occur when water from a lake that has been blocked by a glacier, man-made structure or earthen mass suddenly breaks. The severity of flash flood depends on the snow water content when it begins to melt, depth of snow, extent of ground frost, and the amount of moisture in the soil. The chances of flooding are further increased by the sudden warming and spring rainfalls. Spring ice break-up is a common cause of flooding in most Yukon and Northwest Territories. The geography and climate in the Mackenzie River basin greatly increase the chances of flooding in surrounding communities. Warmer waters and broken ice flow through the Mackenzie to water bodies with frozen water channels. This results in severe ice jams that eventually accumulate water and result in flooding. Flooding can also occur even in urban areas. Many Canadian cities actually lie beside water channels such as harbours, lakes and rivers. The federal and local governments have designated flood prone areas that map out high flood risk communities. You can refer with your local disaster management authorities to check if your home is in designated flood prone areas. Other methods of being preparing include taking St Mark James first aid programs which teach basic skills in handling emergencies.